What little boy doesn't dream about growing up and becoming a fire fighter? Set on a classic striped blue and white background, this design featuring a snazzy firetruck is perfect for your little fireman-to-be. This design offers customization by adding your little guy's name. Want to make a statement at the next house warming party you attend? Take some appetizers to the party on this melamine platter personalized with your hostess' name or monogram and present it to her as her gift! The platter is made of heavy melamine, is dishwasher safe and break resistant, making it ideal for outdoor entertaining. With very little care, these platters could last a lifetime. 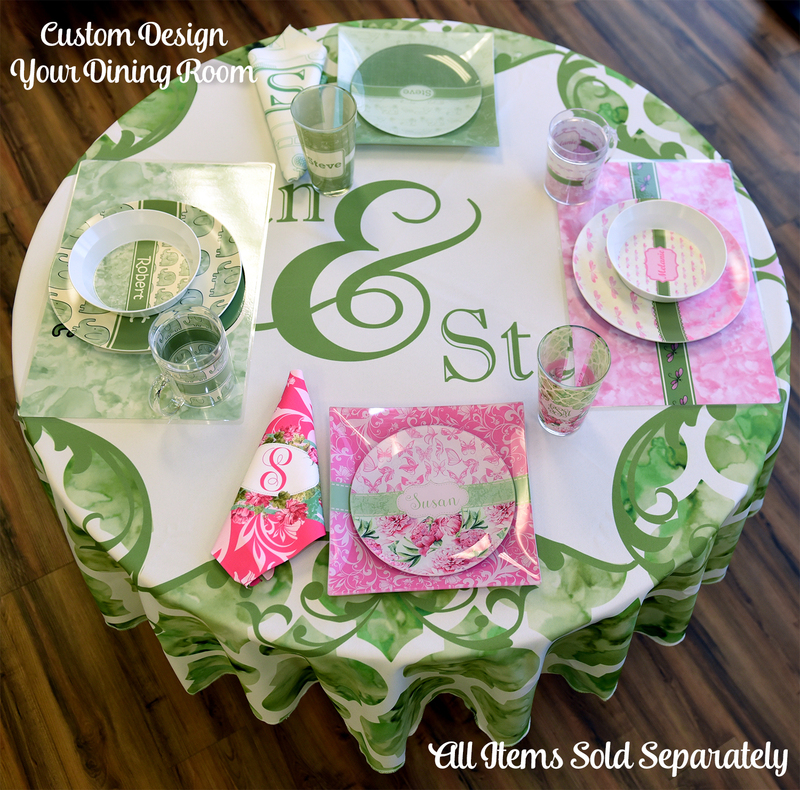 To see all the designs available, browse the personalized platters section. You may also enjoy browsing our kitchen and dining section. Even take a peek at our bathroom and bedroom sections.